** I was able to print the coupons with out giving them my email or signing up for anything. Register for the Quizno's Q-Club if you enjoy Quizno's and want to get regular discounts from them. Sign up to get some great Kellogg's coupons. We eat a lot of their products and it's nice to get some extra coupons sometimes. If you purchase one of these phones you will get triple the minutes of any minutes you purchase and add to the phone... for the entire life of the phone. You will need to type in your zip code before they allow you to look at the available phones. The ones that have triple minutes offered currently are at the bottom of the page. These phones are great for people that don't use a lot of minutes or want to stay out of a contract. If you currently have a phone and want to transfer the phone number you can do that with these phones. 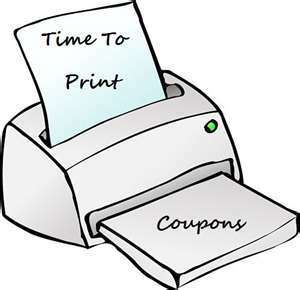 Printable Coupons... Lots of them! Coupon links below .. wink, wink, ... for those of you who don't care to know where I've been all this time. I've been away for awhile working on other projects. Hubby and I flipped a house last school year and it took a lot of our time. While I was still using coupons, I wasn't devoting the time to my blog or doing a lot of searching for deals like I had in the past. The house flip was my "job" while little guy was in school. I spent most of my summer with my little guy who is now 6! We spent a lot of time in the pool and doing fun things together. School will soon start and I'm getting the itch to get back into coupons like I was previously. I hope to begin sharing again with you some of the deals as I come across them. I started looking around today and realized just how many coupon sites there are out there now... Wow! Here are a few that I know about and have recently found... as well as some old favorites. Feel free to check them out.. and let me know if I've missed any worth mentioning. Coupons.com A favorite of mine that I have used for years. You can usually print 2 of each coupon they have listed. Print once and then go through and make your choices again. The ones you printed the first time will be at the end of the list. Redplum- an old fav. Make sure your zip code shows a radius of 50 miles to get the most coupons. Freefly's - Samples and coupons. Powered by Coupons.com, so some coupons are similar. Have fun finding some great savings! 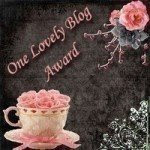 I enjoy this site because not only does it offer freebies, but some great coupons as well! I encourage you to check them out. When you sign up they will take you through several pages of offers which you do not have to fill out. You can go back to the initial page and sign up for the freebie items that you'd like. The offers are there to help with freefly's finances, but not necessary for you to do to get the freebies or the coupons. Don't forget to check out their coupons while you are there!